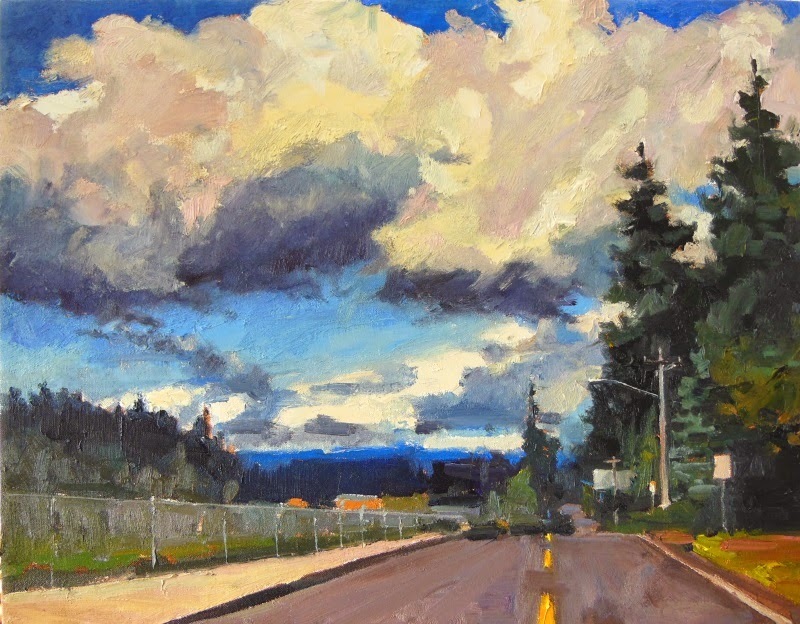 Plein Air Washington Artists (PAWA) Nature’s Gift of Water Exhibition is a juried show hosted by The American Art Company, Tacoma, WA. This is a large gallery space where the exhibition will showcase plein air paintings and studio paintings derived from the plein air pieces. 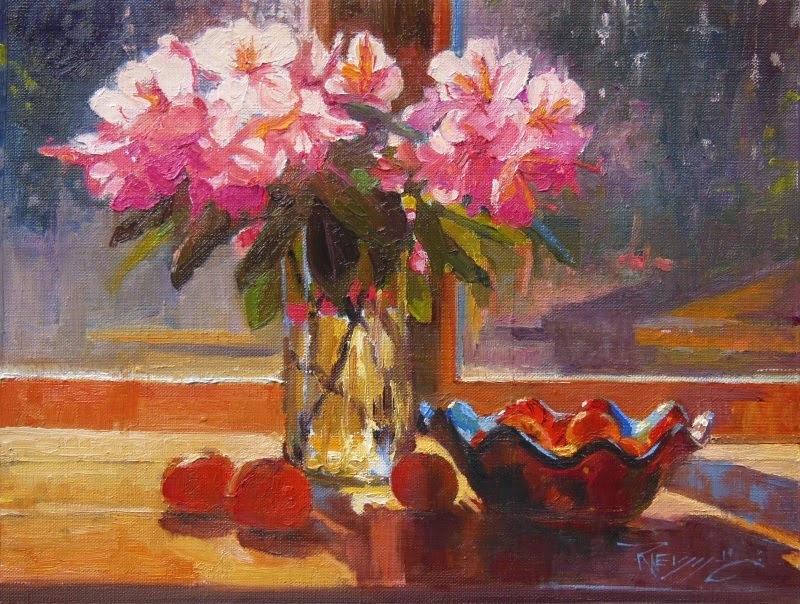 Each artist may submit up to three sets of a plein air and studio painting combination. All works submitted for jurying into the show must be available for the show and sale. A plein air painting 16 x 20 or larger may be substituted for one of the three sets. Sold works are not to be submitted. Show dates: December 4 through January 31, 2015. Entry deadline October 15, 2014. Hope some of you can make the show. I would love to see you there!! Hi everyone!! I am going to make yet another attempt to catch up on my blog!! These flowers sitting on the table in our "sun porch" captured my eye on my way out the door to work...of course, noticing beautiful compositions in the landscape ...or on my front porch...IS part of my work! !